The Islamic Cultural Fayre is back on after some mid-summer stormy weather meant the event had to be rescheduled. 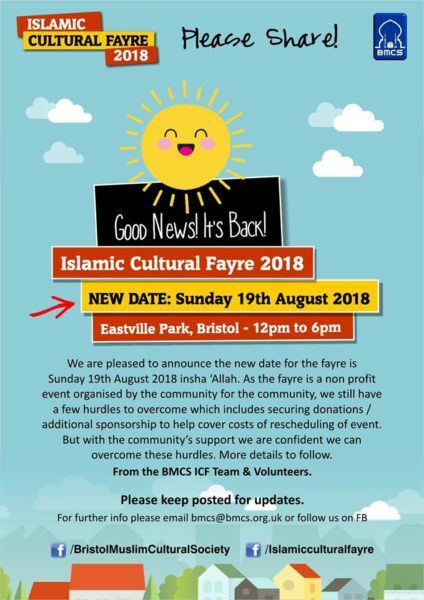 The new date is Sunday, 19th August. We are really happy to be coming along, together with St Paul’s Advice Centre, Borderlands and CHAS offering advice and just getting to know people. Why not come along and see us?